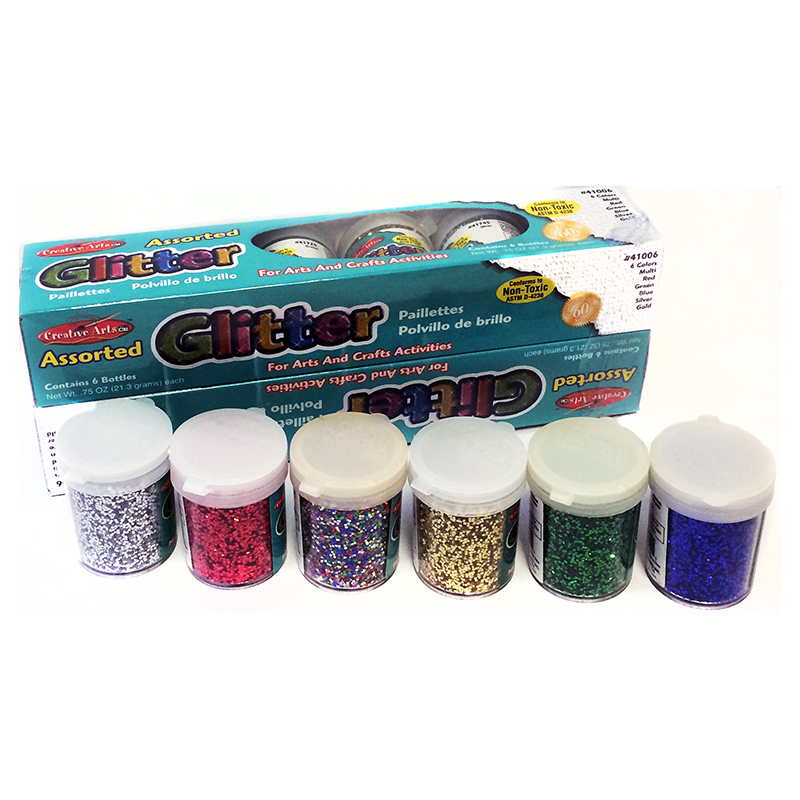 Assortment of 3/4 ounce jars of glitter with shaker tops. Each six jar assortment contains one jar of each color, packaged in a window carton. Non-Toxic and conforms to ASTM D 4236. 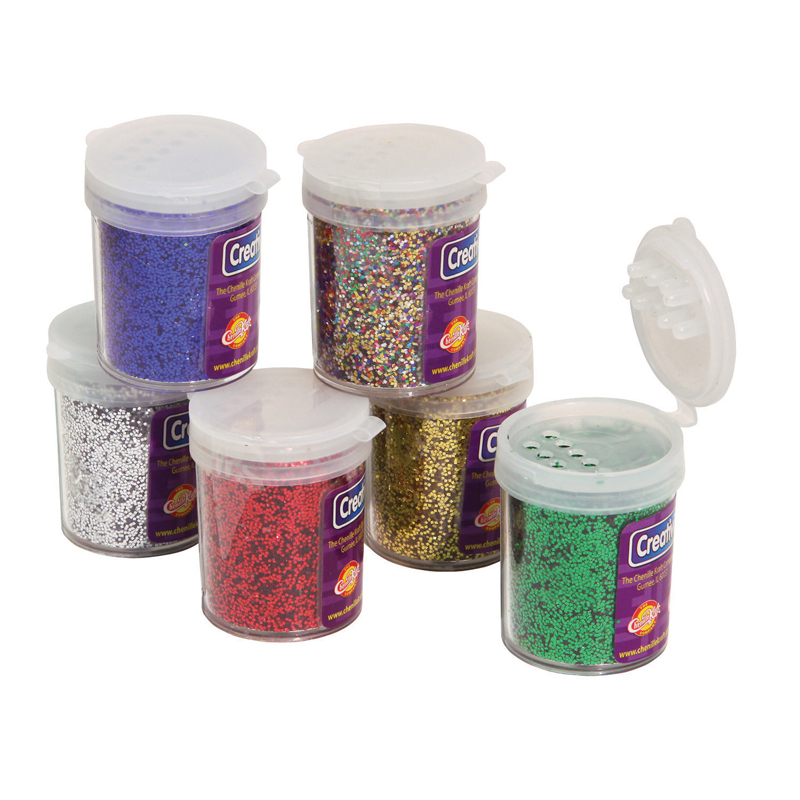 Each set includes 6 jars, 1 each of Red, Green, Blue, Gold, Silver, and Multi-Color. Sold as 2 sets for a total of 12 jars. 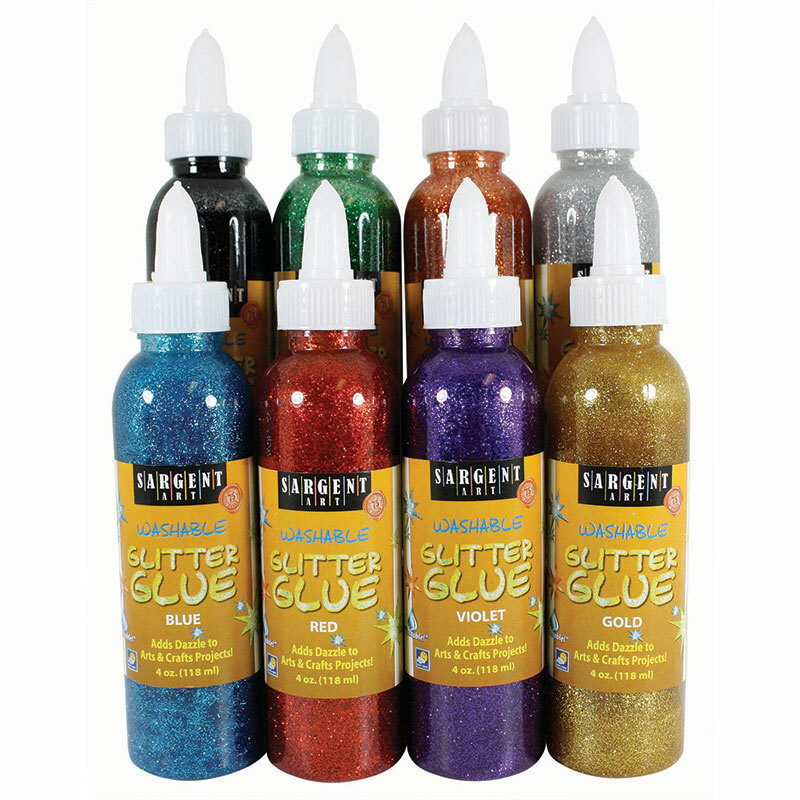 The (2 Pk) Glitter Asst 3/4oz Colors6 Per Pack can be found in our Glitter product category within the Arts & Crafts.